When I first heard about the Aero Strippers a few years ago, my initial reaction was that it was just a fad that would pass. 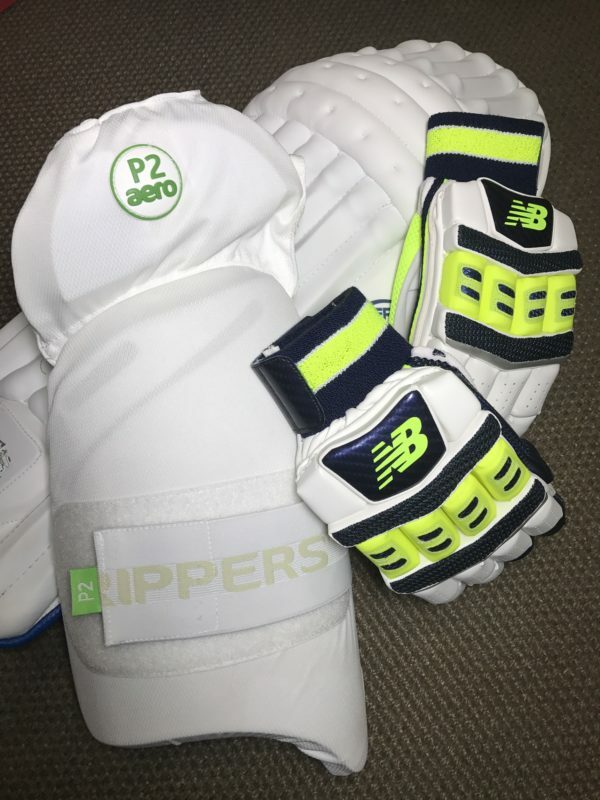 Well I am now well and truly eating humble pie as the Aero Strippers have become an integral part of all batsman’s protective kit collection. A few years on and the Aero strippers range has remained pretty much the same, but in terms of sales has gone from strength to strength. However, if I’m perfectly honest to this day I still don’t understand why hoardes of junior and senior batsmen feel this piece of kit is so important and perhaps my reasoning to follow will make some sense. The cricket helmet protects the all important head area and brands like Gray-Nicolls and GM produce very good quality helmets from around the £40 mark. Next up in order of importance is the batting legguard. Without this vital piece of equipment there are surely going to be some broken bones from the pacier deliveries. Very often customers will come in stating that they don’t really want to pay more than £35-£40 for a batting legguard and then no more than £25 for a pair of batting gloves. I sincerely respect all of the above statements but then what really throws me back is when that same customer wants to spend £40 on Aero Strippers. Don’t get me wrong, the Aero strippers range contains some brilliantly made products. They offer a great quality, fantastic protection and do exactly what they are supposed to. However how can anyone justify wanting to spend more on a thigh and inner thigh pad than they would on a pair of batting legguards? If you get hit on the legs and are not wearing a decent pair of pads, you will do some serious damage to your knee, shins and ankle areas to name just a few. However even if you’re not wearing a thigh pad altogether let alone a cheap one and you get hit on the thigh you will end up with some bruising. Hence, my utter dismay at the budget allocations many customers seem to think it’s sensible to come down for the essential pieces of protective equipment they need. If you are willing to spend £40 on the thigh area then common sense says should be spending more than that on your batting legguards. There is more to injure around your lower leg area than there is around the thigh and inner thigh areas. Likewise with batting gloves too we very often hear the comment of not wanting to spend too much money as “I’m not good batsmen anyways”. In my opinion commonsense says if you are not so great a batsmen, it means you’re more likely to get hit on the gloves and therefore you should be spending more on them. A good batsmen is more likely to have the agility to play the ball with his bat than one that is not so great and may well get wrapped on the knuckles and therefore rather more prone to injury. The Aero Strippers range offers great quality at a good price, but likewise don’t forget how important other items of protective equipment are too.